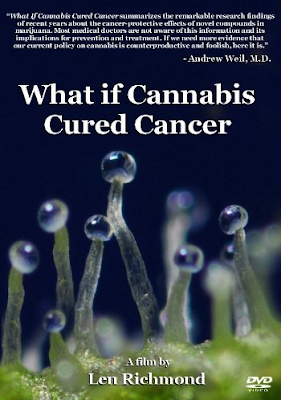 What if Cannabis Cured Cancer? Cannabis Culture presents an interview with Len Richmond, director of a new documentary film about how science is showing that compounds in cannabis attack cancer while protecting healthier cells. Despite having sporadic acceptance in the mainstream medical arena, Richmond’s film is gaining an enormous amount of success in the medical marijuana community. People are excited about the evidence contained in his documentary, and with good cause. What if Cannabis Cured Cancer creates a convincing argument on how and why marijuana should be seriously considered as a cancer-curing agent. This film is creating a lot of waves and Baked Life has it's finger on the pulse so check back as we continue discusing this movie for the next few weeks.